Huantzan (6395m), San Juan (5884), Maparaju (5326m), Cashen (5686m and 5716m), Tumarinaraju (5668m), Cayesh (5721m), Andavite (5518), Chinchey (6222m), and other mountains. From here it is possible to see Andean Condors. We leave from Huaraz to the small town of Pitec (3850m). After a short break, we start walking towards the east to Cayesh and Quilcayhuanca. 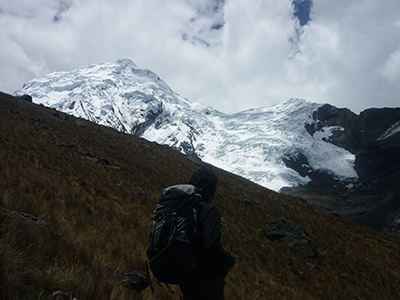 From there we walk to Tullpacocha, our first camp (4250m). On the second day we will climb to the Laguna Cuchillacocha (4625m) situated at the foot of Pucaranra (6156m) and Chinchey (6222m), and then continue to Huapi Step (5020m). After approximately 5 hours of hiking we will reach the highest point of the circuit. Here we will have views of Nevados de Huapi Pucaranra, Tullparaju, Andavete, Cayesh, Maparaju, San Juan, Palcaraju, Ishinca and Ranrapalca. From there we descend into the Cojup Valley and make our second camp. 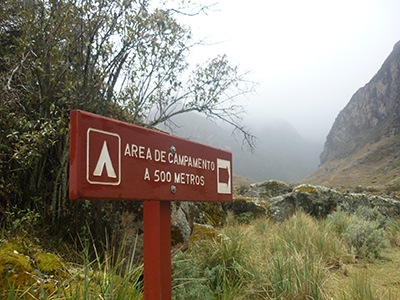 On the third day we continue our descent to Cojup Valley, and have an appreciation of the landscape from the other side. From here we will return to Huaraz.